The moving clusters of Ursa Major and the Sirius System (both Cosmic Logoi) are moving 'north' toward the Solar Apex in Capricorn. 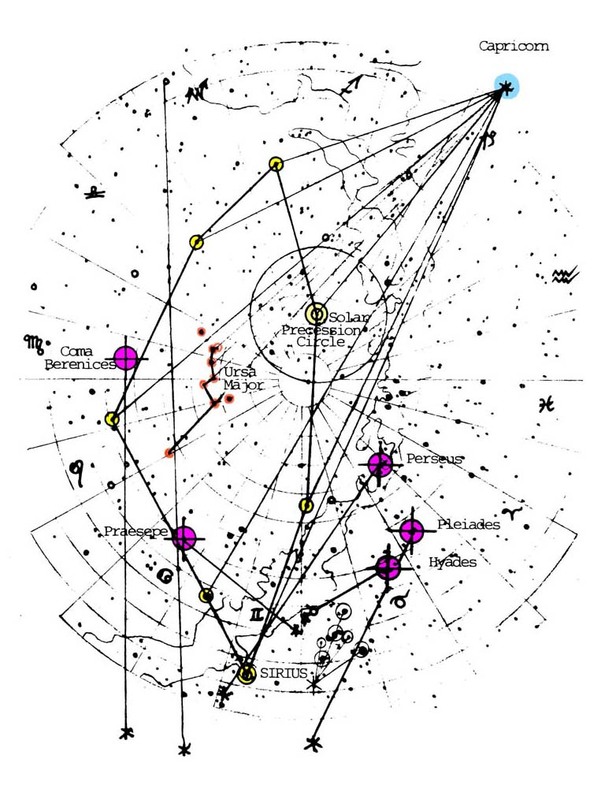 The moving clusters Coma, Praesepe, Perseus, Pleiades, and Hyades Convergence Motion in the direction of Sirius. And yet all are moving out from the Galactic Center along a spur on the Orion Arm as the universe expands. This is true of the more distant but local Orion and Scorpio/Centaurus Moving Clusters (not Associations) as well. These seven major constellations are part of the OAWNMBS called the Unknown Logos by DK in his Treatise on Cosmic Fire at (CF 293). 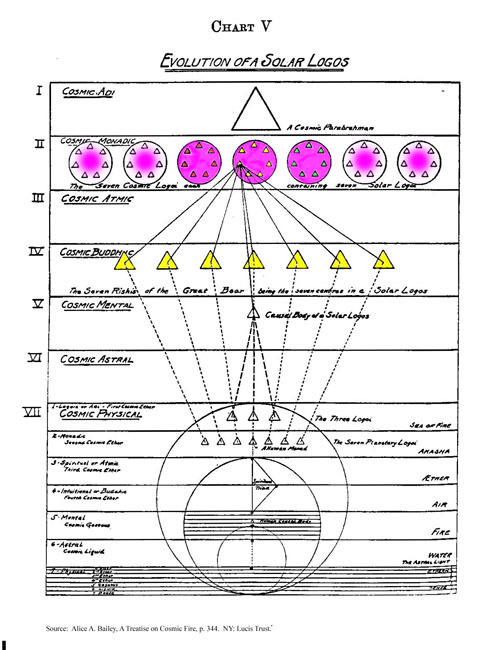 I have tried to make this clear by the parallel use of color in Chart 1 and CF Table V. The Three Intimate Constellations are depicted as the three central Cosmic Logoi on the cosmic monadic plane in Table V. The triangle/Suns of our Sirian System Logos are depicted in yellow, those of Ursa Major in orange, and those of the Pleiades in green. The four other Cosmic Logoi, from our uninformed perspective, may well be considered the Cosmic Quaternary.